How to setup an eCommerce site with WordPress? Are you planning to open an online business? A lot of platforms are available to build an online store. Among all the platforms, WordPress makes it easy, with an array of tools and themes to help website owners set up a complete eCommerce store. 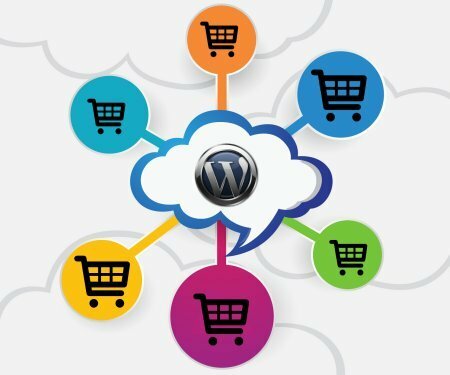 Hence, you can make use of WordPress to build a beautiful online eCommerce site within few steps. Once you decide on the platform, then you should choose a hosting provider. A wide range of hosting plans are available. You can choose it according to your budget. Aspiration Hosting is one of the top web hosting companies. We offer a range of hosting plans to suit different business needs. Usually, WordPress sites are used as a Blog website. When you start selling your products through a WordPress website you need 3 main components and they are product landing pages, shopping cart, and checkout process. So you need to install these plugins. WooCommerce is a free plugin which helps to sell your product and services. You have to pay only if you go for advanced extensions. WooCommerce is designed to work with most of the themes available in the market. To be honest, WooCommerce has a lot of benefits over Shopify when it comes to designs. You also get ticket support, forum support and lots of blogs online. In addition, the main benefit is you have complete control over your data. WP E-commerce is another option to sell your product and services. This helps you to easily add products to your catalog, monitor sales, and reporting, configure taxes and shipping, etc. This is another option for WordPress users. Selling digital products and services is the easiest way to make money online. If you are selling only the digital products, then EDD is the best option. Reach us to know more about WordPress eCommerce Site. We are always happy to help you.